Ms. Jahan is a Civil Engineer with an MSc in Water and Environmental Management from WEDC, UK. She is a development professional having specialised experience in water, sanitation and agricultural sectors. Currently she is leading the Bangladesh Country Programme of Practical Action. 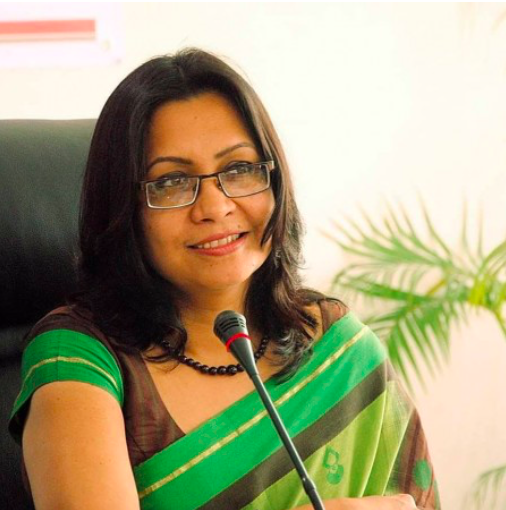 Prior to joining Practical Action, Ms. Jahan worked for the local Government Engineering Department (LGED), ITN-BUET – a training and research institute of Bangladesh’s Engineering University of Technology (BUET), the Danish International Development Assistance (DANIDA) and the international NGO WaterAid. Further she hosted development talkshows for DeshTV, a national TV channel.